Kenosha has built a small trolley loop around an area of town they are trying to develop. It links the METRA commuter train station with service to Chicago, downtown and the new harbor front area. It also serves the transit center for Kenosha's bus system. 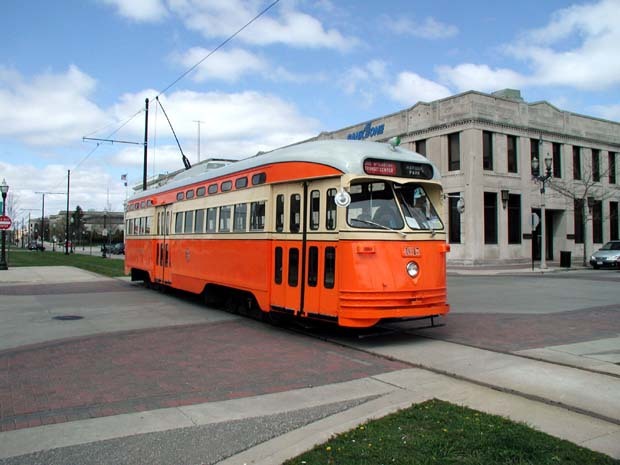 The trolley line is new, but uses rebuilt PCC cars. Like San Francisco, they painted the cars to represent cities that had PCC's in the past. It is a neat system. The five cities represented are Johnstown (Kenosha), Toronto, Chicago, Cincinnati & Pittsburgh. It takes streetcar about 10~15 minutes to round the loop. It is well worth the trip. Hopefully someday they will extend the system!